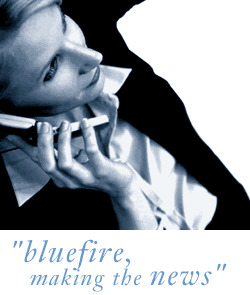 Bluefire Consulting | Web Developer (HTML, XHTML, CSS) : "HTML" "XHTML" "CSS" "Developer" "Adobe CS Suite"
We are looking to recruit a talented, up and coming web developer (With some design skills) that can demonstrate excellent programming skills using HTML, XHTML, CSS and ideally, have an eye for design / layout (Adobe CS suite). This is a permanent position based for our agency client based outside of Guildford and due to the location of the site, it is essential you have your own transport as public transport would not be feasible to this location. You will be part of a team responsible for the creation, build and implementation of the company digital output which includes websites, microsites, banners & games. "HTML" "XHTML" "CSS" "Developer" "Adobe CS Suite"